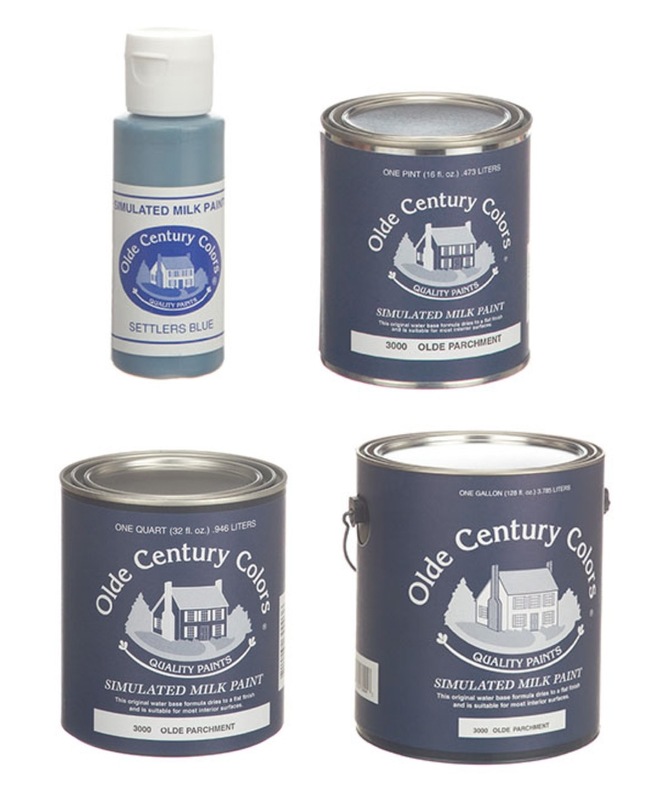 Olde Century Colors Simulated Milk Paint attempts to recreate the historic colors of the 18th and 19th centuries. Paints of the era were a mixture of milk, lime and naturally occurring pigments. This produced a pallet of colors based on berries for brighter colors, clays for earth tones and lamp soot for black. For recreating furniture or architectural components from the 1700’s or 1800’s, the paint can be applied at its standard, undiluted rate of 400 square feet per gallon. Milk Paints are produced in dye lot batches and all pigments are ground at the factory into a pre-mixed formula. The depth of color in the simulated milk paints provide vibrant, strong hues. If a more transparent finish that allows the wood grain to show through, the paint can be diluted with water and applied as a stain. A clear varnish, Briwax or Briwax Shellac Sanding Sealer is suggested if the item will be handled frequently. For an antique look a crackle finish can be applied using the milk paint as both the first coat and as the top coat applied under the crackle medium. This entry was posted in Simulated Milk Paint. Bookmark the permalink.